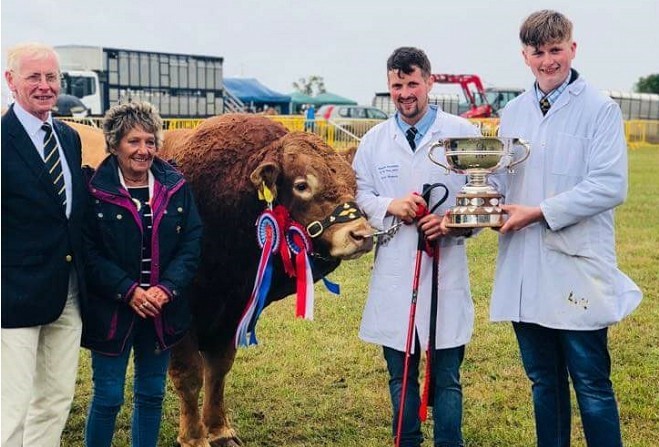 The Kermode family from Orrisdale Farm have scooped the top prize at this year's Southern Agricultural Show. Judge Henry Watterson favoured the Kermode's five-year-old home-bred Limousin bull for the accolade of Supreme Champion, ahead the Creer family's Texel ram, which took home the First Reserve award. Second Reserve went to Vikki Sloan-Masson and Neil Masson's Holstein cow, with Clare Christian's home-bred mare awarded Third Reserve.